Jyotika Prasad and her husband were painting their home the weekend before a planned trip to Mexico when she started feeling uncomfortable. The 41-year old Vancouver resident woke up the next day with sore muscles, a lethargic feeling and a deep pain in her upper back. “I thought I pulled some muscles and was sore from doing so much,” she recalls. As the symptoms persisted, Jyotika made her way to Burnaby General Hospital. There, she received shocking news: she had suffered a heart attack and was a type 2 diabetic. After being sent for further testing at Royal Columbian Hospital - the region’s cardiac care centre - she learned more troubling information. She would need quadruple bypass surgery. As she processed the first news, Jyotika was stunned. “I’m too young,” she thought. “This can’t be happening to me.” Devastated, she would spend the next few days in hospital instead of vacationing in the sun. 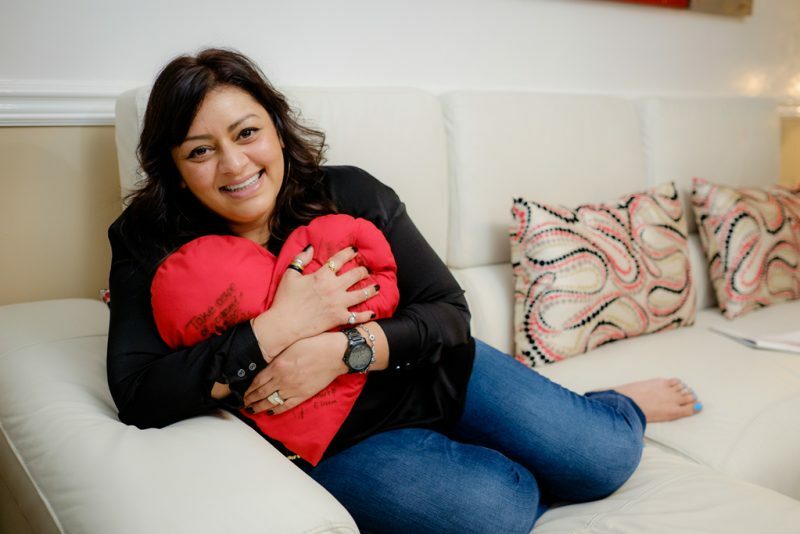 Jyotika was initially sent to Royal Columbian for an angiogram to determine the extent of the heart problem. The results revealed she would need open heart surgery. “Dreams of our future, starting a family, felt shattered,” remembers Jyotika. The test showed she had serious blockages in four arteries. Royal Columbian cardiac surgeon Dr. Derek Gunning says it’s uncommon for someone of Jyotika’s age to have that level of coronary artery disease. Back home and waiting for her day in the operating room, Jyotika reflected on her lifestyle and family history. Her father, for instance, had also had heart disease at a young age. She realized she would need to make immediate changes. Among those changes was to quit smoking. Dr. Gunning says the habit likely contributed to the progression of her disease. “We know smoking is a big risk factor for coronary artery disease, and the habit certainly didn’t help her,” says Dr. Gunning. The day of the surgery, Jyotika would yet again receive startling news. A new test showed she had a leaky heart valve. “I completely felt defeated,” she says. Left: Jyotika, at home with her husband Jamel and their dog Shia. Right: Jyotika visits staff at Royal Columbian, one year after her open heart surgery. Her surgery was challenging, and it took time for her heart to properly beat on its own again. She recovered in the cardiac surgery intensive care unit for several days before being moved to one of the wards for a further three weeks. She left Royal Columbian feeling the staff provided not only physical care, but also emotional support to her and her family.